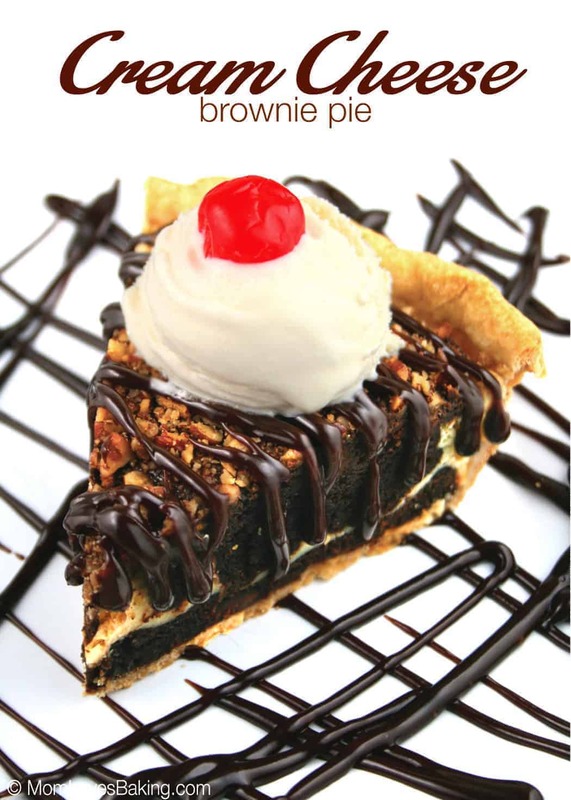 Cream Cheese Brownie Pie won the 39th Pillsbury Bake-Off in 2000. Recipe on Pillsbury.com by Roberta Sonefeld of Hopkins, South Carolina. This reminds me of a dessert I would get at a fancy restaurant but you never have to leave your house to enjoy this scrumptious treat. 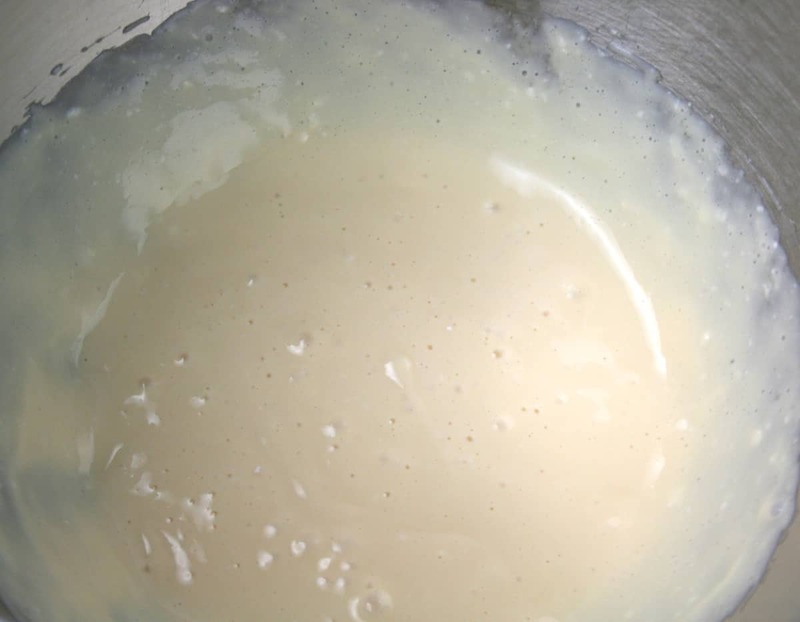 Start by beating the cream cheese layer ingredients with an electric mixer on medium speed until smooth; set aside. Reserve chocolate syrup packet from brownie mix for topping. In large bowl, place brownie mix, oil, water and eggs; beat 50 strokes with spoon. 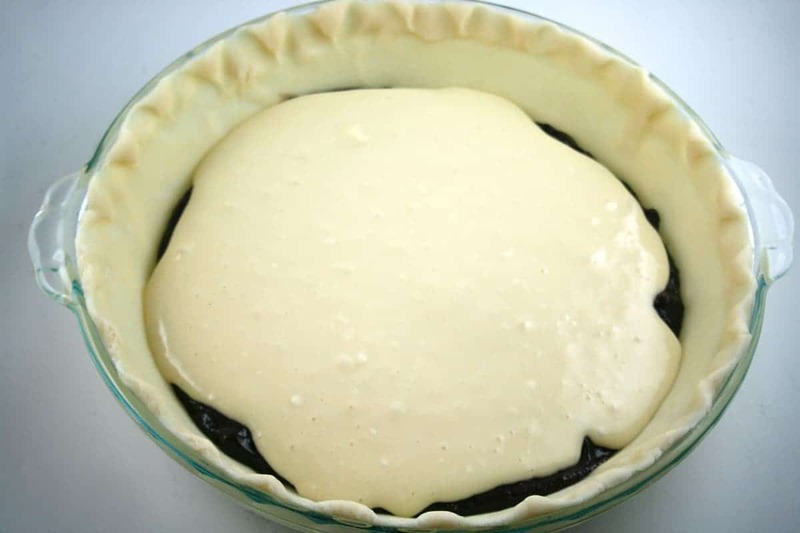 Spread 1/2 cup brownie mixture in bottom of crust-lined pie plate. Spoon and carefully spread cream cheese mixture over brownie layer. Top with small spoonfuls of remaining brownie mixture; spread evenly. 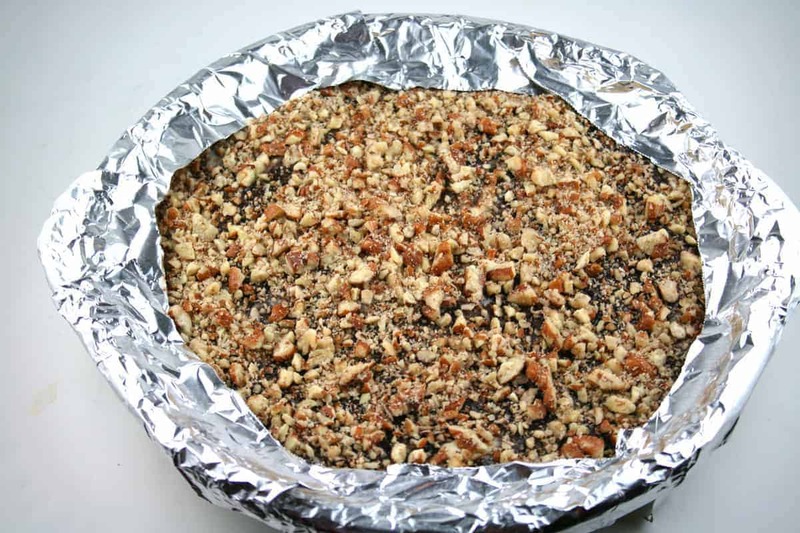 Cover crust edge with 2- to 3-inch-wide strips of foil to prevent excessive browning; remove foil during last 15 minutes of bake time. 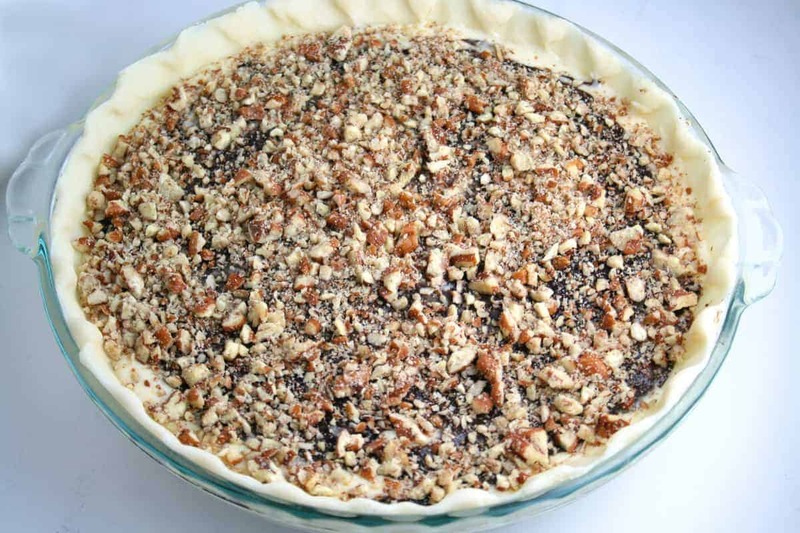 Bake 40 to 50 minutes or until center is puffed and crust is golden brown (pie may have cracks on surface. In small bowl, mix chocolate syrup from packet and hot fudge topping. Place mixture in small resealable bag. Cut small hole off corner of bag. 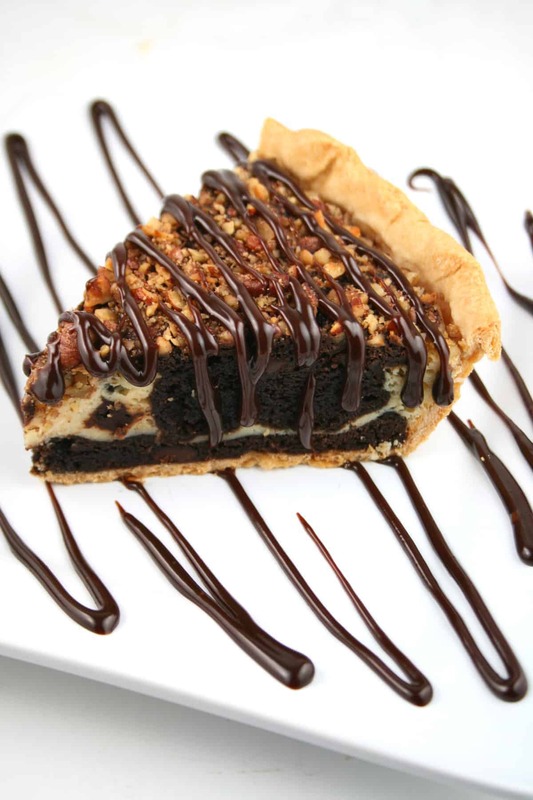 Drizzle topping over pie. 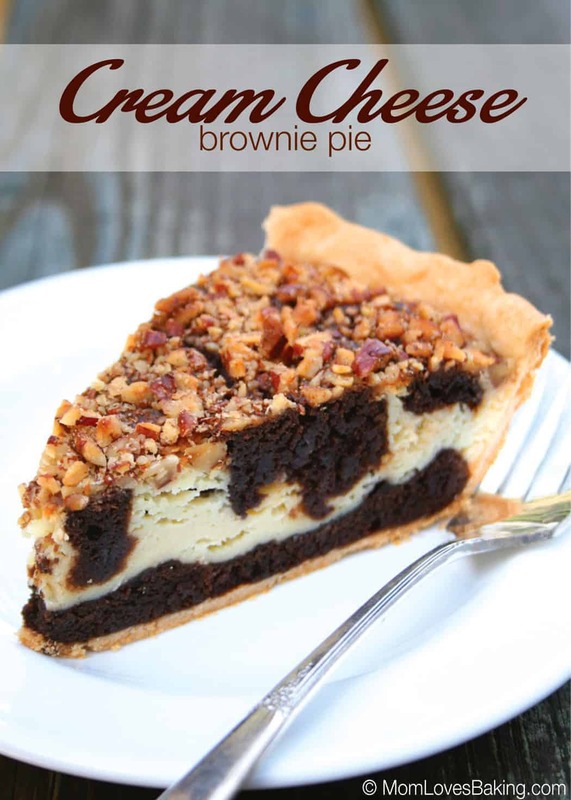 It’s fun to cut into this pie because every piece has a different brownie and cream cheese marbled pattern. It’s so good with ice cream. I wouldn’t have it any other way! In medium bowl, beat cream cheese layer ingredients with electric mixer on medium speed until smooth; set aside. Reserve chocolate syrup packet from brownie mix for topping. In large bowl, place brownie mix, oil, water and eggs; beat 50 strokes with spoon. 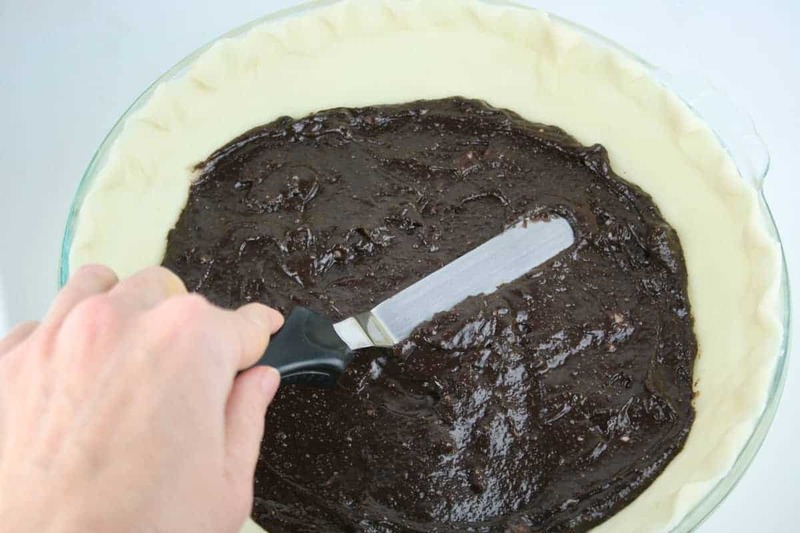 Spread 1/2 cup brownie mixture in bottom of crust-lined pie plate. Spoon and carefully spread cream cheese mixture over brownie layer. Top with small spoonfuls of remaining brownie mixture; spread evenly. Sprinkle with pecans. Cover crust edge with 2- to 3-inch-wide strips of foil to prevent excessive browning; remove foil during last 15 minutes of bake time. Bake 40 to 50 minutes or until center is puffed and crust is golden brown (pie may have cracks on surface). In small bowl, mix chocolate syrup from packet and hot fudge topping. Place mixture in small resealable bag. Cut small hole off corner of bag. Drizzle topping over pie. Cool completely, about 3 hours, before serving. Cover and refrigerate any remaining pie. 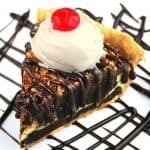 Oh my GOD this brownie pie is incredible! Totally wish i had a slice to devour right now – it looks so wicked!